Custom shrink treated Merino wool. High density cushioning on foot bottom. Reinforced heel and toe. Elastic support around the arch. Ring toe construction for a comfortable, invisible seam. Visit Darn Tough's Benjamin Rugby 1/4 Cushion page. 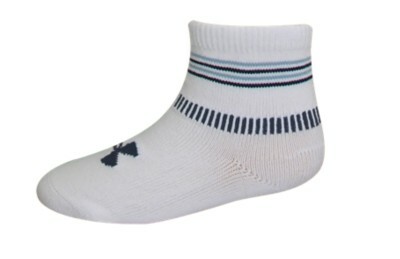 Boys' shoes can generate some of the most powerful funk on the planet; fight back by outfitting your boy's feet in the Darn Tough Boys' Benjamin Rugby Merino Wool Cushion Sock. 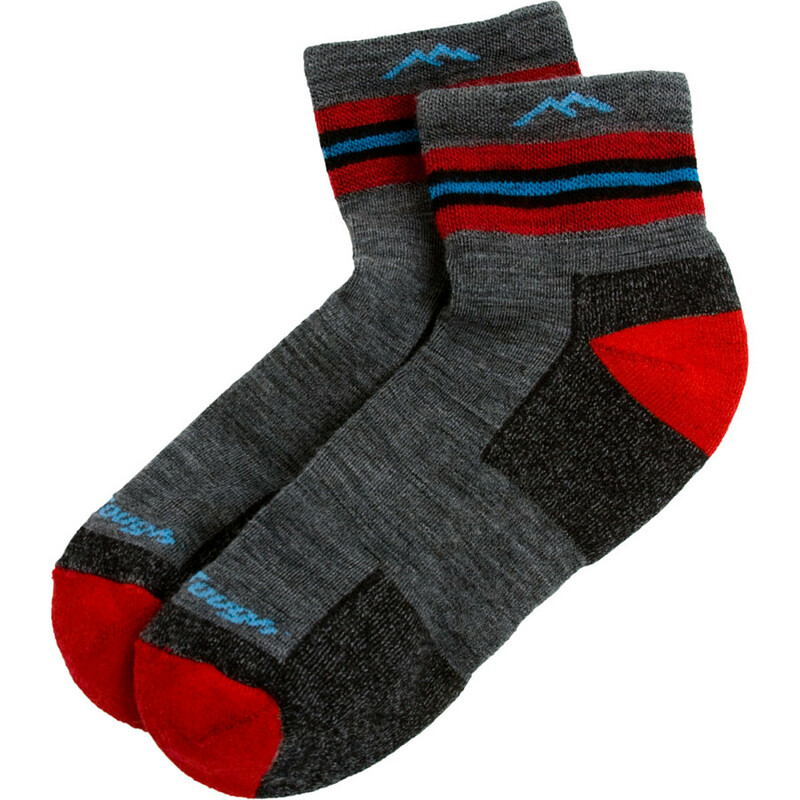 Thanks to the natural odor-fighting properties of merino wool, you're not in danger of veering off the road when he pulls off his sneakers in the car to air out his feet. 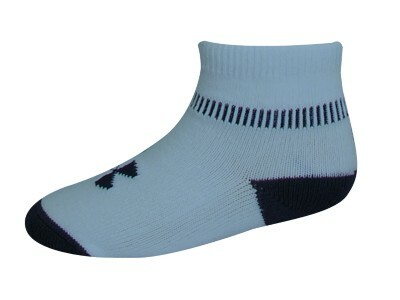 The merino also helps the sock wick moisture and breathe, so he's not putting sweaty mess back into his shoe. With high-density cushioning on the bottom and elastic support around the arch, he'll enjoy superb comfort as well as improved social acceptability. Made for adventurous boys with high-quality yarns and knitting techniques, Darn Tough's Benjamin Rugby Hiking Boot Socks will survive the toughest playgrounds, rugged trails, steepest bunny slopes, and all his shoeless romps in the rough. 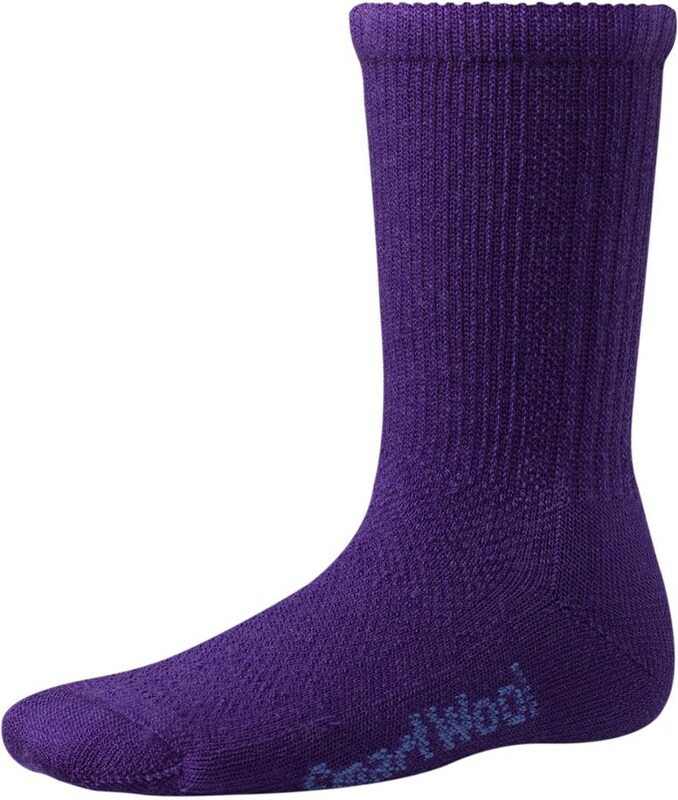 Made with the same quality yarns and knitting techniques for adult Darn Tough Vermont socks.These socks will survive the toughest playgrounds, the steepest bunny slopes, and all their shoeless romps in the rough.Custom shrink treated Merino wool.High-density cushioning on foot bottom.Reinforced heel and toe.Elastic support around the arch.Ring toe construction for a comfortable, invisible seam.58% Merino wool, 37% nylon, 5% Lycra spandex.1452. The Darn Tough Benjamin Rugby 1/4 Cushion is not available from the stores we monitor. It was last seen January 9, 2018	at Backcountry.com.